It’s a Saturday afternoon and I’m making the one-hour journey to Osu to meet a lady making waves on the Ghanaian foodie scene. The agreed-upon location is the Little India Sunshine Salad Bar, a restive restaurant tucked away on the HP Nyemetei Street, a few hundred metres away from the Osu Oxford Street. Sitting across the table is Jay Gyebi, popularly known as Mukase Chic. She was born Joyce Gyebi, to a sheltered family where there was so much love growing up. She shunned the kitchen growing up, so the love she has for the kitchen now is nothing less of a miracle. Her father, who she describes as an amazing cook and who she talks about with a bright light in her eyes and with so much fondness, will take her along on his unique kitchen adventures as a kid of school going age, and that’s where Mukase Chic was really born. For her, starting a food blog and subsequently opening a restaurant wasn’t about any desire to make it big time. Her mission in the kitchen is simple. 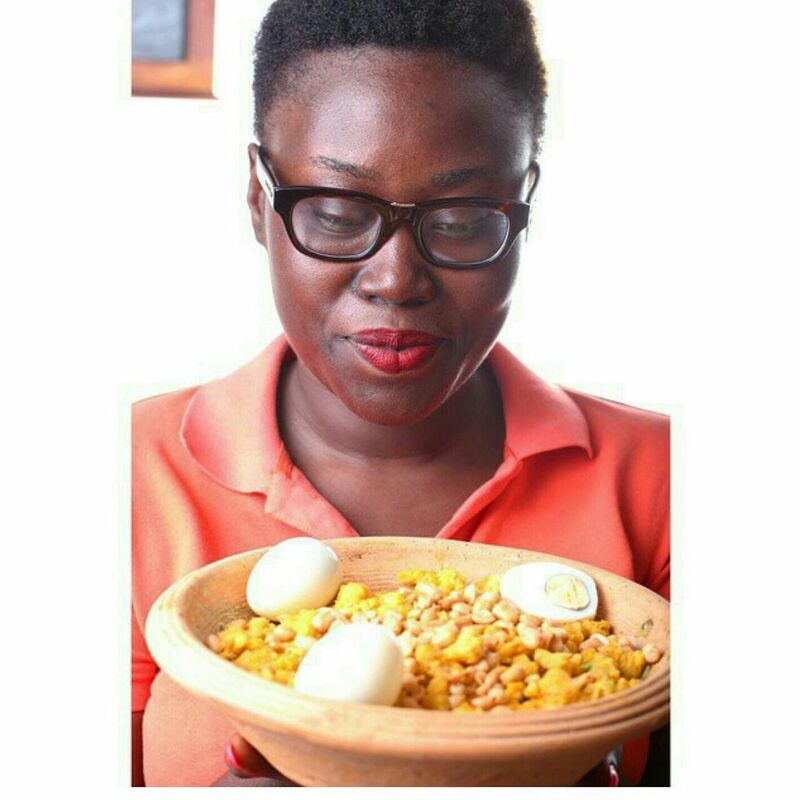 She learns how to cook and blogs about her experiences to help others who want to learn how to make Ghanaian dishes. Thanks for joining me today. Kindly introduce yourself. (Laughs) You make it sound like you don’t know me. My name is Jay and I am a food entrepreneur. I am a food blogger, restaurant owner and a food stylist. I also consult for a number of food companies. Are you working full-time on Mukase Chic? Yes I am currently into this full-time. I have other things that I do, but for now, being a food entrepreneur is my foremost priority. Could you tell us a little bit about how you grew up? I was never the kind of girl who loved to cook whiles growing up. I didn’t play with tomato cans growing up (laughs). I’ve never been a kitchen person. I enjoyed some good friendships both at home and in school. I grew up with my parents, brothers and cousins and it was a very happy and lively home. I came from a home where everyone knew how to cook. My stepmom was a caterer. My dad was amazing at cooking. My auntie too. I literally was the only one who couldn’t cook or didn’t enjoy cooking. They used to say, “As for you, when you marry, they will bring you back to the house.” My influences were diverse. My stepmom and my father travelled together a lot, as business people. They brought food from every country they visited. So we got to eat food from different countries and cultures. I attended Association International School. I had my high school education at Aburi Girls’ Senior High School and continued at University of Ghana where I studied Theatre Arts. I’ve not had any training in food. I’m thinking of taking a course in food maybe this year or the next. How did you come up with the idea for Mukase Chic? What inspired you to start this business? The Ghanaian blogging community was at its infancy then and my searches did not lead me to any credible Ghanaian food blog. So I can’t even compare my blog to blogs like 1q Food Platter and My Belle Don Full that have been in existence for many years and still going on strong. And then I finally found a Ghanaian blog owned by a white lady called Fran! Fran had come to Ghana and was friends with one Mrs. Baeta who owns a catering school called Flair. They were older women and they were very good friends. 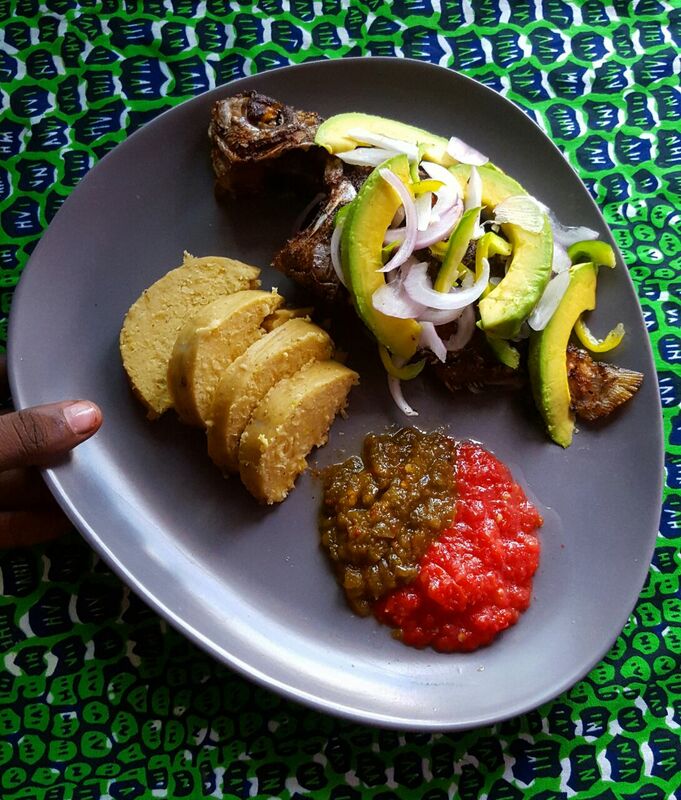 Fran had come to Ghana to do some courses and she got to learn how to prepare some Ghanaian dishes. So when she went back to the United States, she will try a recipe and put it on her blog. 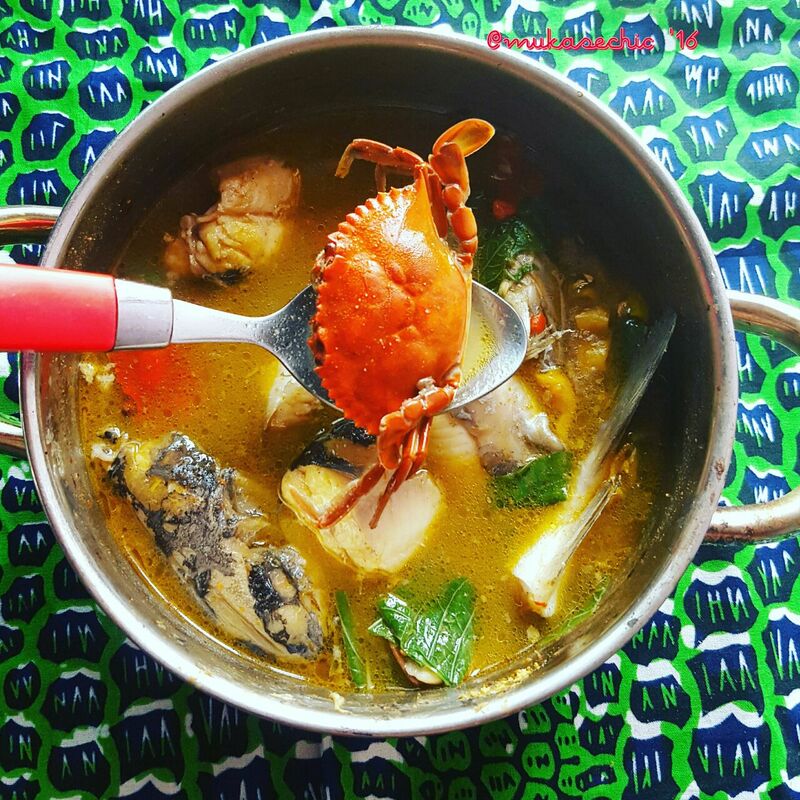 I felt challenged by her to start a food blog too that focused on sharing Ghanaian cuisine to the rest of the world. That was somewhere in 2012. When I started my Mukase Chic blog, I didn’t know much about both food and blogging, I just entered with blind faith. In choosing a name, I wanted a name that would really cut across, and also I wanted to show that I was very young. There’s no exact inspiration for the name, but I guess over the years it has come to make sense for a lot of people. I started the blog myself. I did some research and found out WordPress was the easiest and most popular platform. I think it’s been over four years since I wrote my first post. But I don’t have a lot of content on there. It’s been very difficult for me to blog. So Instagram has almost become like a saviour to me. I take pictures of food I’ve prepared and put them on Instagram. When people see a food on my Instagram and request for the recipe, I send it to them. The idea of Mukase Chic is “a lady in the kitchen.” Mukase is the Twi word for the thatch and mud hut with the swish stove, firewood, iron pots, asanka and what have you. Applying knowledge from what I learned during my time at the marketing company, I wanted to be known for an easily-recognisable brand. I knew that if you want to be successful as a business person, you have to clearly identify a niche market where you’ll function and stand out in the crowded market. I realized that if I’m to live by my identity as Mukase Chic, then I have to be a connoisseur of Ghanaian cuisine. So for me, it’s about learning how to prepare our Ghanaian dishes, mastering it and teaching the skill to people whether through blogging or teaching in person. It’s all about learning the fundamentals. I’m not adding parsley to palm nut soup or anything of the sort. I basically want to learn how to make palm nut soup and teach people. Then when we move to another level, we can do all our mixing and remixing and whatever altered recipe we want to come up with. I’m doing this with many people. The people who regularly visit my blog and those who call me and ask for recipes. We’re learning those things that we should have learned from our Mamas, and we didn’t learn because we were lazy and chose to be in our rooms. I get calls from people who say they wanted to make beans stew, and they had no clue on how to do it. Then a Google search brought them to my blog. They tried the recipe and they’re pretty excited about what they came up with. It’s just the simple things that we don’t know. That’s what I’m learning and teaching people. What exactly do you do at Mukase Chic and what makes Mukase Chic a unique service? Mukase Chic has moved from just being a food blog to a restaurant now. Our restaurant is at Osu, also known as Mukase Chic. At the restaurant, we serve only Ghanaian dishes. We cook it in a way and serve it in a way such that you get the feeling of eating food you’re familiar with, what you’d eat at home on any other day. I ride on a lot of nostalgia. Everyone in business needs to find a unique selling point, and for me that’s my unique selling point. When you come to my restaurant, I will serve you anguamo and you’ll go like “Oh my God, I haven’t eaten that in ages.” I’m giving you jollof rice that reminds you of your Mama’s food. We serve gari fotor on a daily basis. We have pepper chicken wings. We also serve a pork dish, which we make differently from what you’ll eat anywhere else. We make abom, prepared in the asanka, with either kontomire or garden eggs as the main ingredient. It comes with koobi and eggs, and avocado when it is in season. For now, we don’t have lots of space, so we are not doing soups. But we have a very exciting menu that we will be introducing in a couple of months, which I’m pretty excited about. Were you making money when you were just blogging about food? And since you opened the restaurant, who has been your clients? When I was food blogging, I was working at that time, so I didn’t really care if I was making money or not. I was just happy that people were trying my recipes and I was learning. For now, food blogging has evolved with the advent of Instagram and the like. So it didn’t make money at that time, but now it does. So basically I serve everybody who wants to eat. Families, couples, young people, work executives are all patrons of my restaurant. We also do a lot of deliveries. When you go to my place, the sitting area might not be full all the time, but I’m okay with my deliveries. I work with a number of delivery companies. When I came of age, I lamented to my mom that I didn’t have a hand hobby. Being through school and working in the corporate world was all brain work. And then suddenly, this interest in food just springs up. And I’m doing it and I feel very proud just doing it, because if I can do it, I feel like everybody can do it. My sense of smell and my taste buds have really been sharpened since I started this food journey. I literally can smell food from good distances and tell exactly what it is. For me, that’s an achievement. I didn’t know that I would get to a point where someone will call me and ask me questions about food. That’s what brings the fulfillment. It’s not about the money. It’s not about the recognition. 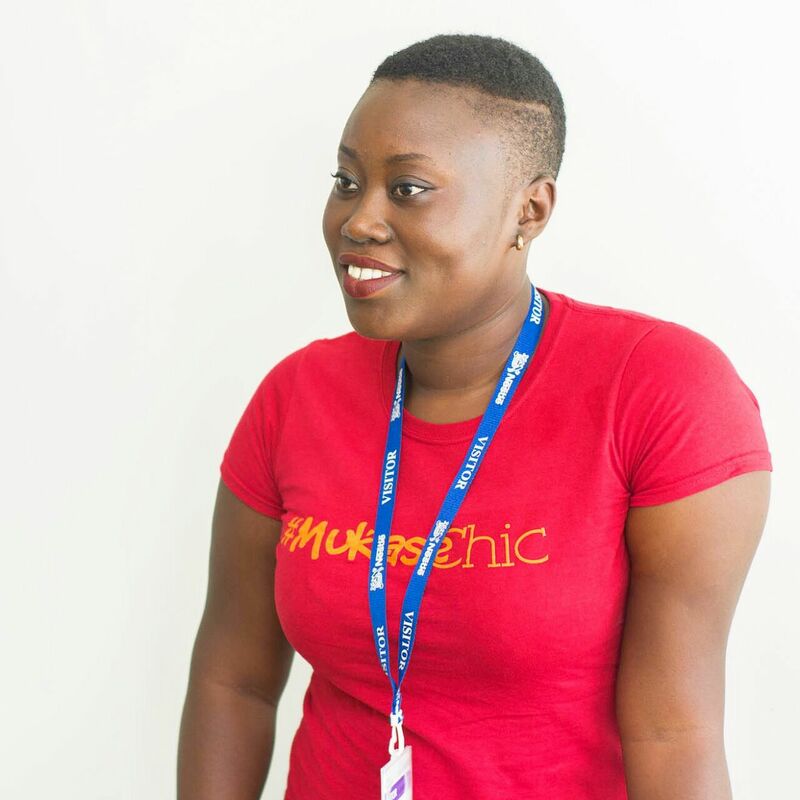 I was at Blogging Ghana with Papa Oppong a couple of years ago to talk about my Mukase Chic journey. I’ve had a couple of mentions/photo features on CNN Africa and BuzzFeed. I currently employ six people including myself. In Part II of our interview, we will get to know about the challenges Jay has faced on her Mukase Chic journey, about her growth plans and memorable food experiences she’s had. Thanks Nii. Looking forward to more!